Investor interest in listed investment companies (LICs) as a sector has grown considerably in recent times, with some 20 new LICs focused on Australian equities having launched in Australia since 2013. A LIC is a corporatised managed fund which is listed and traded on the Australian Securities Exchange (ASX), with initial capital raised through an IPO, whereby investors can apply for shares in the company. The funds raised from the IPO are then invested in a portfolio of securities which are managed by a professional fund manager. The value of the underlying investments forms the basis for the net tangible assets (NTA) of the LIC. For further detail on the structure, opportunities and potential risk of investing in these listed vehicles, view this Morningstar article. Within Morningstar's coverage universe, there are currently two silver medallists and two bronze medallists. "Australian Foundation Investment Company (AFI) is one of our preferred Australian equities vehicles thanks to its skilled team, extensive board, and very low cost," says Elliot Lucas, manager research analyst, Morningstar. With a $6.9 billion asset base as at August 2017, it is Australia's largest LIC. The AFIC team uses a value-based approach to identify quality names trading below fair value, "with a focus on sustainable dividends that can be passed on to shareholders". "The team adheres to the low-turnover, long-term buy-and-hold philosophy we expect from this favoured offering," Lucas says. Despite having trailed its benchmark on short- to medium-term performance--party due to its underweight position on real estate investment trusts--Morningstar is confident it has proven its ability to add value over the longer term. "Despite this, the strategy has outperformed the S&P/ASX 200 Index over the 10 years to 31 August 2017, on a pretax net tangible assets basis," Lucas says. He attributes this partially to its low fee of 14 basis points, "which minimises the drag on returns relative to its active unlisted peers". 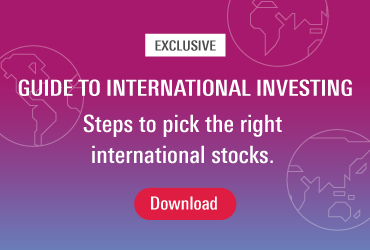 "With its multitude of competitive strengths, AFI is an excellent Australian equities option." Mirrabooka (MIR) also holds a Morningstar silver medal. While it is considered somewhat expensive at current levels, "incoming investors would effectively be buying a portfolio of stocks at greater than market value, which can limit their returns…[but] it remains an excellent choice for current investors and those who can buy it closer to NTA," says Morningstar manager research analyst, Sarah Fox. Part of the same stable as the Australian Foundaction Investment Company LIC, "the investment team is well-resourced and experienced. Kieran Kennedy is responsible for this strategy and is ably backed by seasoned investors, CIO Mark Freeman and CEO Ross Barker," Fox says. "The style is value-oriented, though it will delve into 'growthier' names such as Treasury Wines, given the long-term approach. It will also tend to avoid speculative stocks such as resources and biotech. "It’s an approach that has delivered pretax NTA returns well ahead of its 50/50 small/mid-cap benchmark since its 2001 inception," Fox says. Milton Corporation is focused on being a long-term investment while paying higher dividends annually to shareholders, according to Morningstar analyst Ross MacMillan. "The investment team’s role is to monitor the portfolio while searching for well-managed companies which have a history of established earnings, increasing dividend payments and maintaining balance sheet strength," he says. In FY2017, Chart Hall Group, Janus Henderson Group, and Charter Hall Long Wale REIT were all added to the portfolio. "The diligent application of the investment philosophy and process has resulted in a portfolio of 90-100 stocks, not aligned to any index or style, but containing significant active positions in many familiar names including Westpac, Wesfarmers, and Woolworths," MacMillan says. Rounding out the list is Argo Investments, which Morningstar's Lucas highlights as "a good option for income-focused Australian equities exposure". "The team adheres to a disciplined value-based approach, seeking companies with sound fundamentals that are likely to provide reliable streams of dividends with accompanying franking credits," he says. With extremely low turnover, the LIC typically comprises "familiar and mature names" it intends to hold for the long-term. In addition to its tax-efficient structure, Lucas also emphasises the pricing appeal of Argo, at 16 basis points, "in line with comparable large-cap Australian-focused listed investment companies, and significantly less than equivalent unlisted funds". Glenn Freeman is Morningstar's senior editor.